Our School is adopting Journeys for our ELA curriculum and it’s amazing! However, the books they’ve given us are flimsy – to say the very least. My kindergartners will bite, digest and eat them before the first day is finished! So, I thought I would come up with a way to laminate some of them to preserve their integrity for at least a while. 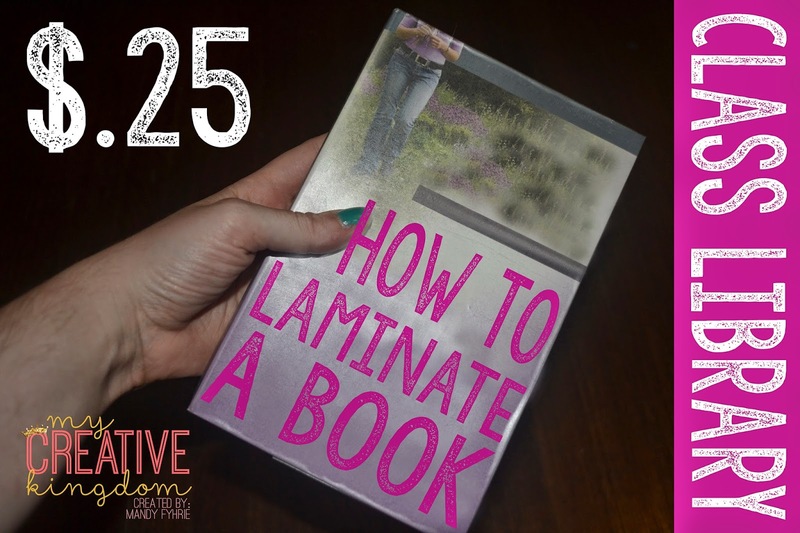 This book cost less than 50 cents to laminate. One of my favorite books for the first day or in the first few days of school is "The Kissing Hand," by Audrey Penn. We usually read the book and talk about what they do when they miss their family or loved ones and are away from them. I think it's like group therapy! In kindergarten, most of my kiddos are not used to being away from family for an entire day. Even children who are used to daycare, have hardly experienced the structure a full day kindergarten brings. Below is a craft that I created to help my children engage and think about what they do to make the day smoother for them. At the same time, children can share what works for them and it helps them to know they are not the only ones missing home. Besides, the cutting and pasting gets their minds off their sadness. If you haven't read the book, then you can pick it up by following the affiliate link below. 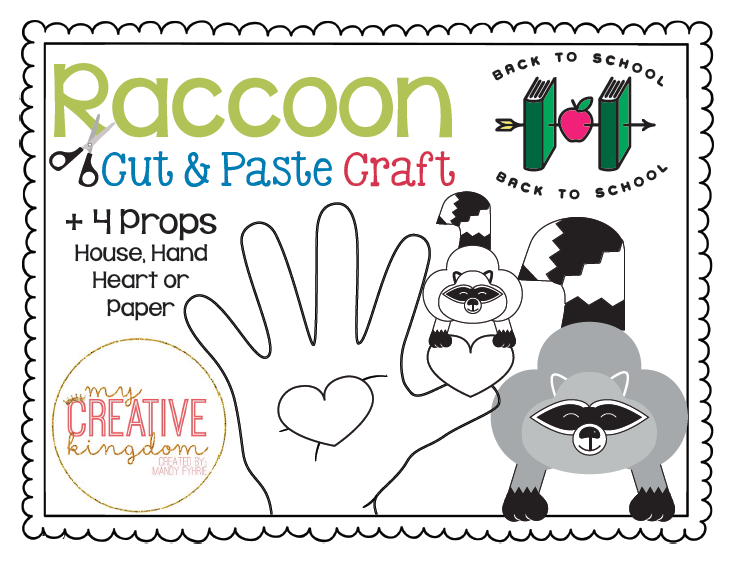 You can pick up a copy of the cutting and pasting activity by clicking HERE. I don't know about you, but rubrics are at the forefront of my mind - perhaps this is weird - but it just stems from my United Way background. It's also a huge part of our new teacher evaluation systems. It was at United Way that I first truly learned the importance of Evidence Based Practice. I want to know that the progress I'm making with kids has something to do with a reliable measuring tool and effective teaching strategies. Of course, there's always room for error and there may be outliers, but I've found that the best way to set children up for success is to provide them with clear expectations. Kindergarten is a world of its own - not that you need to know that! For this reason, a huge part of B2S (Back to School) is ensuring children understand what a rubric is, what it looks like, how it's used, and how it translates to other subjects. This is why I've created these fun and inspiring rubrics for you to use! The Owl rubric is FREE with a download for personal and commercial use - my gift to you! 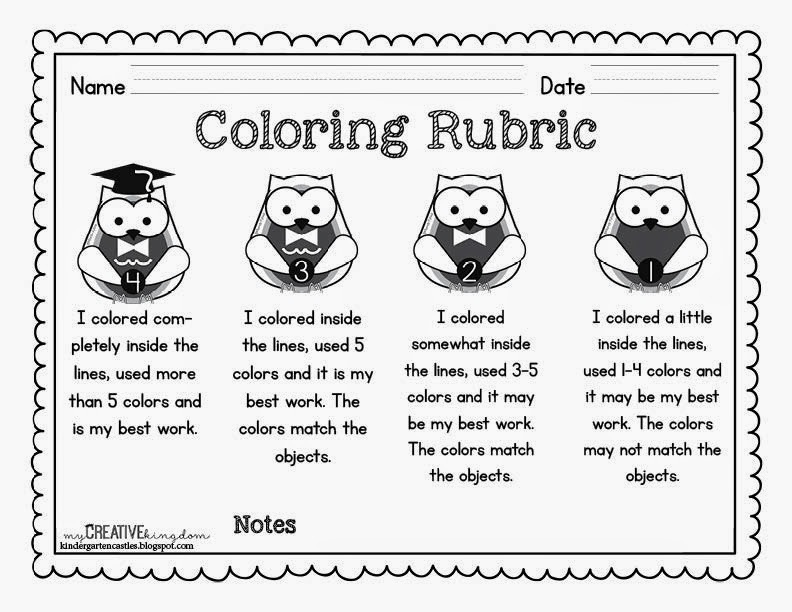 Please see the FREE Example below for how I used a rubric to teach coloring as well! - Don't forget to post examples along with criteria for each of the different levels. We call it "level of learning," in our classroom. As the weeks wind down, we get closer to school starting and I find myself wondering how I can make this year "easier." This makes me chuckle a bit - it's never easy the first weeks in kindergarten. Kindergarten is where the action is! Even so, after last year, I find myself finding little tidbits of how to make the year smoother. This was my first attempt at creating a font of my own. There are a few problems with this font. The most glaring problem is when you write a contraction. Another problem with this font is printing in large-scale. The website generates vector points, which do their best to create graphics that can be scaled to any size; however, this means jagged edges. As you can see, the edges are not clear and are jagged. Printing with a large font, might not fit to your liking. The large-scale fonts only amplify these imperfections; however, to offset these imperfections, try using a bold font to smooth out the edges. Some of my letters are slanted forward and some of them are straight up and down; that is mostly my human error. 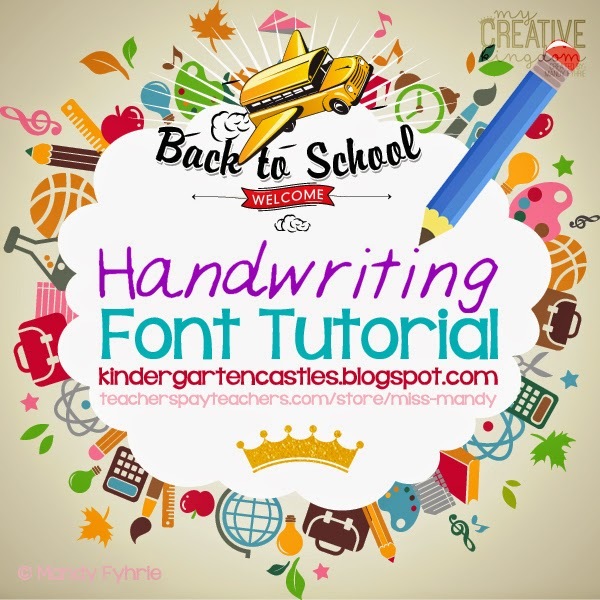 Overall, I am happy with the font and plan to use it in the future for writing notes home for my students! I am a cursive writer, and writing in print is a struggle for me. I also am a much faster at typing, but typing in regular fonts seems impersonal and distant. This way, my students can read along, it is somewhat personal and I do not have to hurt my hand trying to write only in print. Step 2: Download the template provided. Step 3: Write in a thin to medium tip black ink marker on the provided template. Step 4: Scan in your font on 300 DPI, or if you’re unsure, a high resolution. Step 5: Upload the scanned template. Step 9: An image with the font line: “The quick brown fox jumps over the lazy dog,” will show up. Then you go download the font to your computer. Step 10: Download to Font Book for a Macintosh and for Windows Users, download to your Font Folder.